It’s a common knowledge nowadays that within the last couple of years the market price of gold has gone through the roof beating all historical gold prices. Gold bullion prices today have followed the suite, so if you decide to buy gold bullion coins or bars today, get ready to shell out substantial amount of money for them. Have you ever wondered why best gold bullion prices depending on the country origin of the bullion coins are different even for the identical weight of gold content? The answer is simple, gold bullion prices today are very much driven not only by the price of gold but also by investors’ demands and preferences. Let’s conduct a very curious gold bullion prices today comparison per country and see how one ounce bullion coins differ in price. The information on gold bullion prices today is taken based on pricing offered on bullion direct.com website which is one of the leading online places offering the most competitive gold bullion prices. 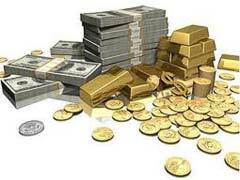 Currently, for the market summary on March 20, 2011 the spot price of gold is 1419.59 per one troy ounce. As you can see from the listing below prices for one 1 oz gold bullion coins are different thought they contain identical gold value content. This is mostly driven by various degree of coins’ popularity among coins collectors and bullion investors. Gold bullion price today is also affected by dealer premiums and mark ups on especially popular bullion coins. Generally if you are searching to invest in physical gold rather than in the aesthetic value of a certain coins, it’s wiser to pick gold bullion coins with the lowest price tag. Please note that the comparison of gold bullion prices today was done as of March 20th 2011. Gold bullion price per ounce fluctuate daily, and the purpose of the comparison is for educational purposes only and should not be your sole guide for making your important investment decision.